Litecoin To Gain Mainstream Adoption? Home Litecoin To Gain Mainstream Adoption? Is there a chance that Litecoin will be one of the first cryptocurrencies’ to gain mainstream adoption? 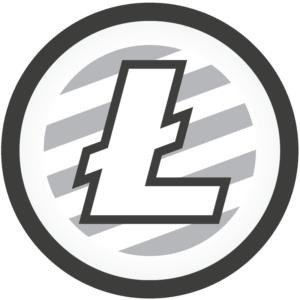 Standing out from the crowd has become a key objective for many cryptocurrencies trying to gain traction in a busy market, and Litecoin’s PayWithLiteCoin campaign is doing just that, albeit at a much bigger level. Designed as a much more flexible and scalable solution than higher value currencies like Bitcoin, PayWithLiteCoin is all about bringing digital currency to the mainstream and finding investors who can help the currency to get off the ground and into people’s digital wallets. Now, after a campaign that has built traction and gained the attention of both Bitcoin publications and the wider press, it looks like Litecoin is on the verge of joining the list of accepted cryptocurrencies, especially after the legalization of the currency in Thailand. But at this crucial stage, just how successful has the PayWithLiteCoin campaign been? Litecoin has captured attention for several reasons. The biggest advantage, and indeed one of the main selling points, is that Litecoin has improved on Bitcoin thanks to its scalability. Bitcoin has become fractional out of necessity thanks to the high value of a single coin, and this makes paying for day-to-day items difficult and is sometimes prohibitive outside of stock trading scenarios. Litecoin, on the other hand, is designed for much smaller transactions, making it much more attractive to everyday users and of course businesses who want to offer cryptocurrency payments as part of their service, without having to deal with Bitcoin fractions. This scalability has helped Litecoin to gain momentum, and the last 12 months have certainly seen investors started paying attention to a cryptocurrency that has a sole aim of being used daily. With a high value of over $350 at the end of 2017, the currency has had its ups and downs throughout 2018, but is still showing plenty of promise and is sitting at just under $100 and ripe for investment. The Litecoin market page makes it easier to see movements in the price and can help you to understand whether it’s worth making an investment. Potential investors in Litecoin must keep a close eye on how on it is performing, they will then stand a good chance of getting the investment right. The uptake of Litecoin amongst businesses has shown plenty of promise too. Currency exchanges like Binance and GDAX, gift card provider EGifter, and plenty of other cryptocurrency-friendly digital service providers and online retailers have joined the campaign, and there plenty of requests from users for accepted payments at the usual big names including Apple, Uber and eBay. The next phase of the PayWIthLiteCoin campaign is focused on more acceptance by mainstream retailers and service providers and will be the keystone for Litecoin becoming a currency that can compete with cold hard cash in markets around the world. The recent legalisation of Litecoin in Thailand is proving just how viable Litecoin could be as a currency. Thailand was an early adopter when Bitcoin gained traction, and the prospect of a much more flexible digital currency in a growing economy is favorable. Buying Litecoin around the world has become a lot easier too, with a huge variety of coin websites and even the Austrian Post Office are now allowing Litecoin exchanges! The campaign has certainly helped Litecoin to reach more potential users, and the concept has certainly attracted plenty of attention as the cryptocurrency world continues the hunt for a scalable, daily-use currency, but the next phase of the campaign will really dictate whether Litecoin can reach the mass market, with more big-name retailers needed to prove just how useful and efficient this currency could be.